Chris is a professional USAT Certified Coach. 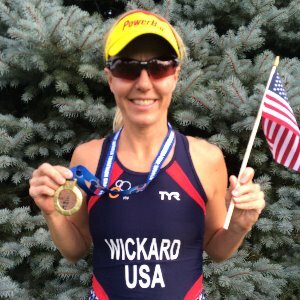 She has competed in hundreds of triathlons throughout the world since 1997. Chris began her triathlon career after years of competitive swimming. She discovered running and biking and decided to put all three together. She has won two sprint distance National titles, two long course National titles and one sprint distance World Champion title. Chris works with triathletes to help them attain their athletic goals while having fun! Success. Coach Chris Wickard has been notified of your message.